Each year, I always end up wishing I’d put a little more thought into my New Years Eve outfit. Since I tend to take Christmas preparations to the very last second for this girl (hello ultimate gift procrastinator) the big event seems to creep up on me! I’m usually left rummaging through my closet, pulling out whatever semi-sparkly thing I have, and trust me… the results are usually less than glam. New year, new me though, right? :) I decided to get ahead of the game this time around and bring you some fun NYE inspiration! We have this glam leopard skirt to thank for it, actually. The second I saw it, I knew it would be helping me ring in 2016. The classic silhouette, glamorous sheen, and fun leopard print? Perfect! Literally everything I love rolled into one little skirt. 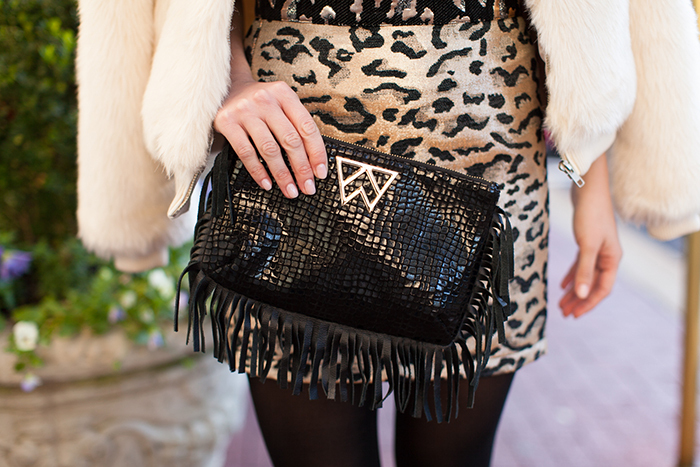 And since you might as well go big or go home for New Years, I added the cutest fringe wristlet and a faux fur jacket. The one hiccup? Chilly legs… always problematic for a fun night out. So I decided to enlist the help of L’eggs! Specifically, their Energy Collection Opaque Tights. Honestly, I knew I needed tights to make the look practical for New Years, but was initially worried they might throw it off. I was so pleasantly surprised when they proved to do just the opposite. These babies made for a sophisticated and super-flattering finishing touch that definitely makes the skirt pop, while still keeping me warm. Something to consider if you’ll be braving the cold! I know it seems early to start thinking about NYE, but it will be here before you know it! What are you plans? And more importantly… what will you be wearing?! Let me know! Thank you, L’eggs, for sponsoring this post! I’m so sad that the week of Christmas is supposed to be warm in Dallas! Hopefully it will drop for New Years so we are able to wear our cute winter outfits without overheating! I’m especially in love with the skirt! Hellllllo little Miss Stunning! This look is absolutely fabulous on you, Kate! I’m in love with that leopard skirt. I love wearing black, gold, and silver for NYE! I have one dress I’ve worn the past two years I’m obsessed with, but I’m thinking of changing it up this year! Love your mini skirt from this look! So fierce!! I love that print and fabric. omg love love love! kate, you are too cute! Love this skirt, girl! Leopard and metallic?! Sign me up! Wow! Two dozen roses will be yours when I pick you up for our date. Ahh this post is adorable!! I can totally see this as being a perfect NYE outfit. I’m personally going to go with something a bit sparkly for the eventful evening! I love the fur jacket! So festive. I have this skirt! I love it so much I got mine from Nordstrom it is the perfect “statement piece” if you will. 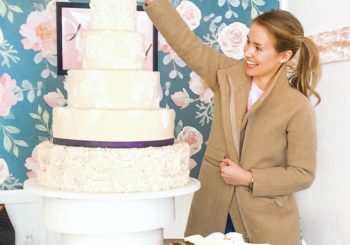 I’m so glad as a younger blogger to see that the blogs I look up to and love have some of the same taste of the sweet southern things in life!